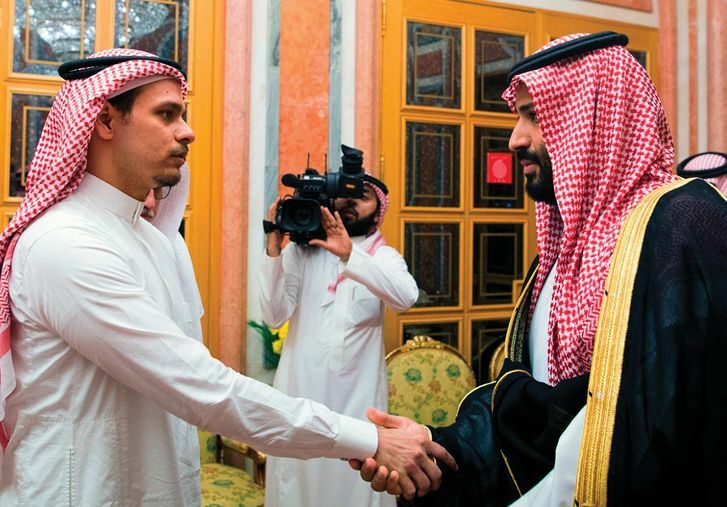 Khashoggi’s son meets with Prince Mohammed. The U.S. revoked the visas of 21 Saudis suspected of involvement in the killing, and CIA Director Gina Haspel was dispatched to Turkey to help investigate the murder. But Trump said he was not prepared to cancel an arms deal with Riyadh, claiming the agreement could create “a million jobs.” Speaking at an international business conference in Riyadh, Prince Mohammed condemned Khashoggi’s killing as a “heinous crime.” He also met with Khashoggi’s eldest son, Salah—who, friends of the family say, has been banned from leaving Saudi Arabia—and expressed his sympathies. The world needs an independent inquiry, said The Washington Post. Saudi Arabia can’t be trusted to investigate itself, and the slow drip of information by Turkey’s authoritarian government demonstrates their lack of interest in full disclosure. The most important question remains “who ordered the operation,” and all signs point to Prince Mohammed. “At this point, the burden should be on the Saudis to prove he is not responsible.” “By denying any knowledge of the dissident journalist’s fate for weeks,” said WeeklyStandard.com, the Saudis “forfeited the civilized world’s obligation to take the polite version seriously.” The kingdom’s attempts “to put daylight between Khashoggi’s murderers” is “in no way credible.” Saudi Arabia is an absolute monarchy, and “there are no significant checks on the crown prince’s powers.” He alone bears direct responsibility for this brutal extrajudicial execution. “The power-mad and vicious” Prince Mohammed must be held to account, said Colbert King in The Washington Post. Yet Trump “has been equivocal and wispy” on the “state-sponsored murder.” If the president wanted to show he is serious in his outrage, he could invoke the Magnitsky Act and impose sanctions that would make it impossible for the prince and his inner circle to do business with almost any bank in the world.